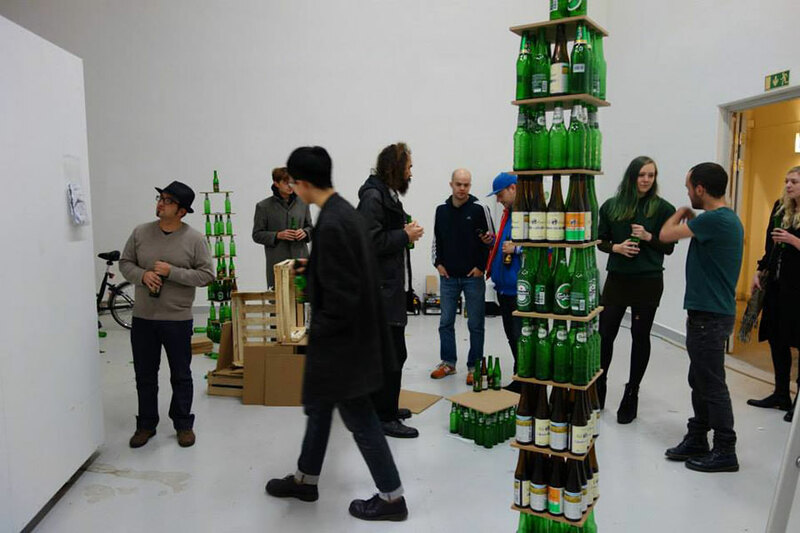 An exhibition where the audience was prompted to add their empty beer bottles to build the ever-growing towers. In the performance WOMAN: Machine of Destruction the artist uses a slingshot and her own body to destroy one of the towers. 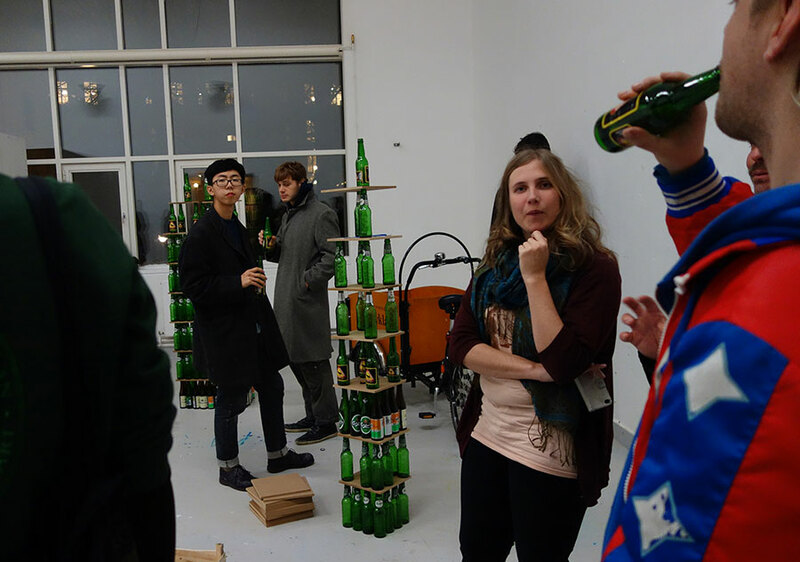 Eventually all the towers were knocked down and crushed by the public. See performance video below.